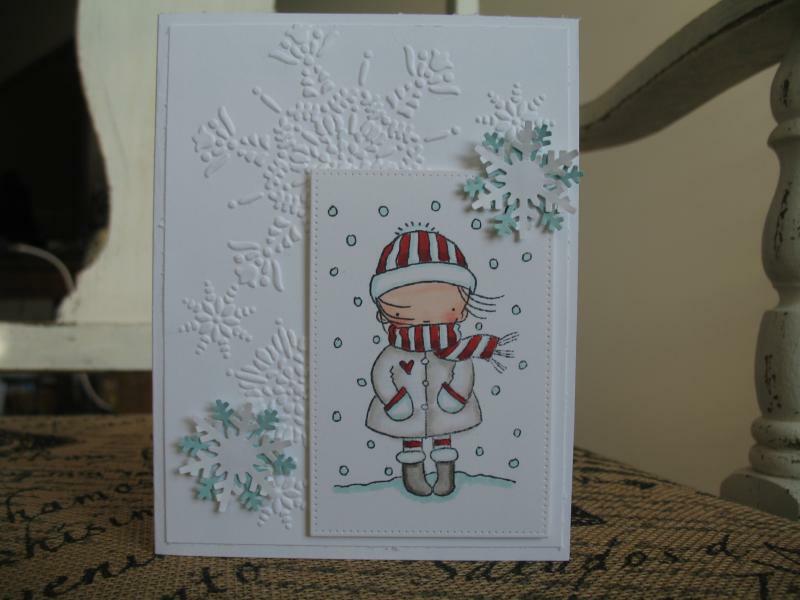 I started by stamping my snowflakes with Versamark and embossed with white ep. 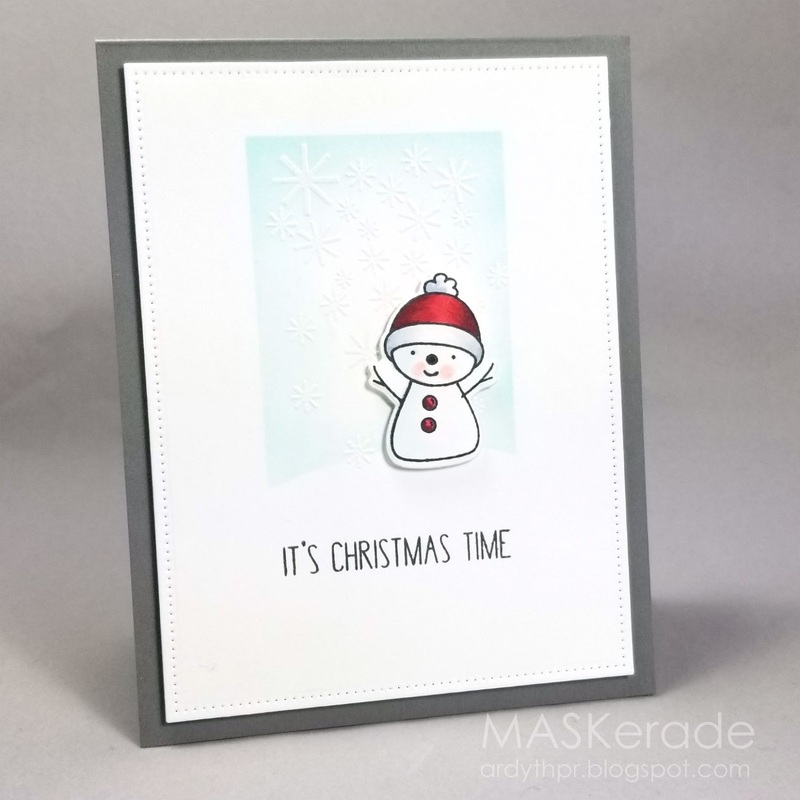 I masked a rectangle (with a rounded bottom edge to be a 'snowdrift') and lightly blended Peacock Feathers Distress ink. I stamped and coloured the snowman before using the matching die to cut him out. I finished with the sentiment (am I the only one who wants to continue it with "There's no need to be afraid"). Adorable! I love the sweet little snowflakes in the background. Oh he's such a lil sweetie, perfectly surrounded by the blue. Super cute take on the sketch, Ardyth!